Photo credit: Nora Mollmann, Nora (Nua, Broken Tiles), Carol (Nua, Frog on the Wall) and Joyce (Nua, Cafe Flamingo) pictured in Tabouli. Welcome everyone who has joined me here on my blog for the first time! Thanks to the amazing Mason Dixon Knitting March Mayhem I’ve gained a lot of new followers. If you’re new to me I’d like to tell you a little bit about myself and give you a reintroduction to the Tabouli cardigan. I’ve been living in Cork, Ireland for most of my life with a few years in Florida where my husband is from. I’ve got 4 sons (my eldest just turned 21 on the day that Tabouli won the contest!) plus 2 cats and a very wonderful but needy dog. As with most knitwear designers I started accidentally. I began life first in art but then changed to structural engineering. After that I ran an online natural parenting website/shop for several years and only returned to knitting after my youngest was born 13 years ago. I quickly became obsessed and before I knew it I had moved from modifying pattern to designing my own. By the end of the year I had my very first pattern published with Knitty and by the next year I also had patterns in Interweave Knits. From this initial start it flowed fairly naturally into writing my first book, Contemporary Irish Knits as well as teaching. If someone had suggested 10 years ago that I was going to spend so much of my time teaching I’d probably have laughed at them! However much to my surprise it’s something I love doing and I’m constantly trying out new ways of reaching out and helping knitters to learn. My teaching started first in yarn shops and festivals but it’s also now moved onto online teaching as well as tours and retreats in Cork. If you want to learn with me online I’ve got 4 different Bluprint courses as well as 2 teachable courses all online. You can find details of all of these right here. For short, snappy video tutorials I put them all here and they support the techniques that I use in my patterns so you won’t be stuck! 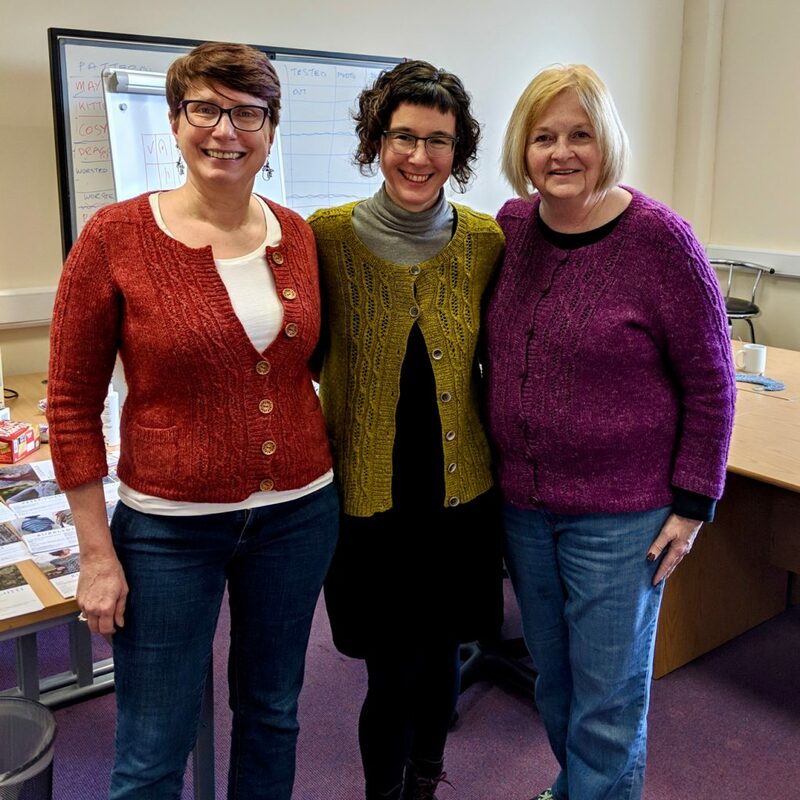 If you prefer to learn in person and would love to visit Ireland, I teach classes on knitting tours as well as doing retreats in Kerry with knittingtours.com. All tour and retreat details are on this page. My sweater KALs are a great way of learning as well. Because we are taking our time and working through each clue as it comes you can really put some thought into fixing mistakes and tweaking a design to fit your body exactly. Tabouli originally started out as a KAL so all the videos and ravely discussions are still available to help you out. Two years ago I also begin my own yarn range, Nua. It’s a sports weight blend of merino, yak and linen that I’ve been really enjoying knitting with. 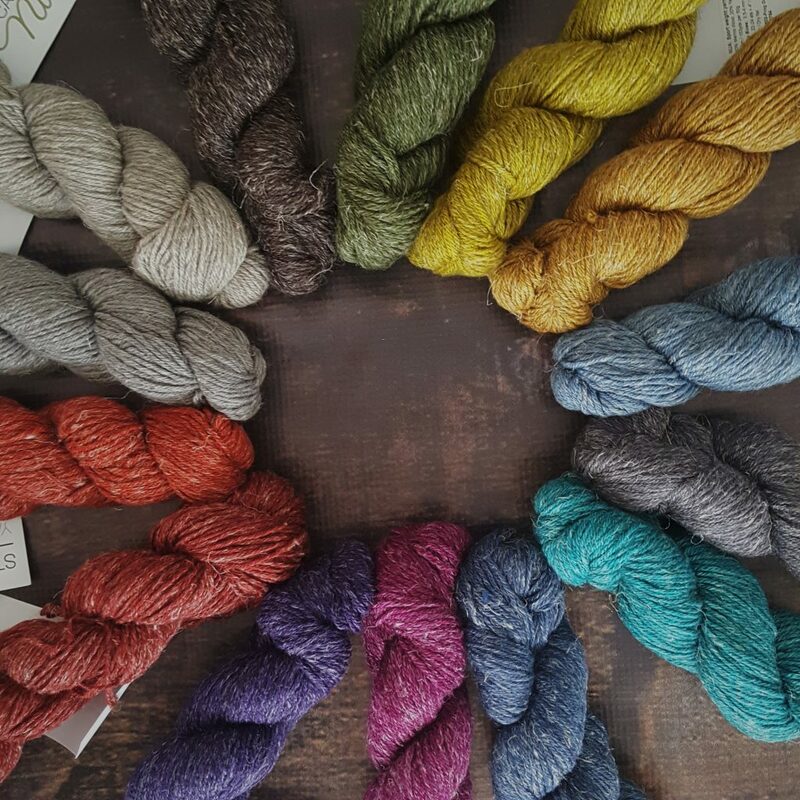 In fact last month we launched a second weight of this yarn, worsted, with several new colours! You can find both of these yarns on my website or at your LYS (check out Nua Yarn for stockists). The original version of Tabouli used Nua yarn in the colour Frog on the Wall. If you want to keep hearing about what I’m up to I’d suggest signing up for my newsletter. At signup you’ll get 3 free patterns as well as a discount code. You’ll also be the first to hear about all new patterns, yarns and events as well as getting exclusive discounts. 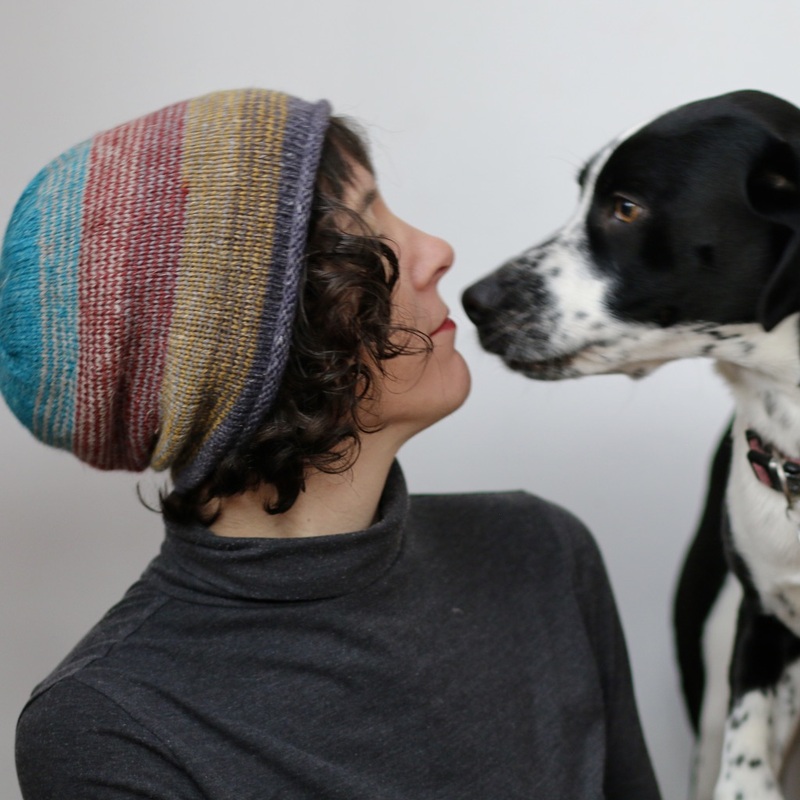 Nice to meet you all – until the end of April you can use code MEETCAROL on ravelry or my website to get a 20% discount on any individual patterns.